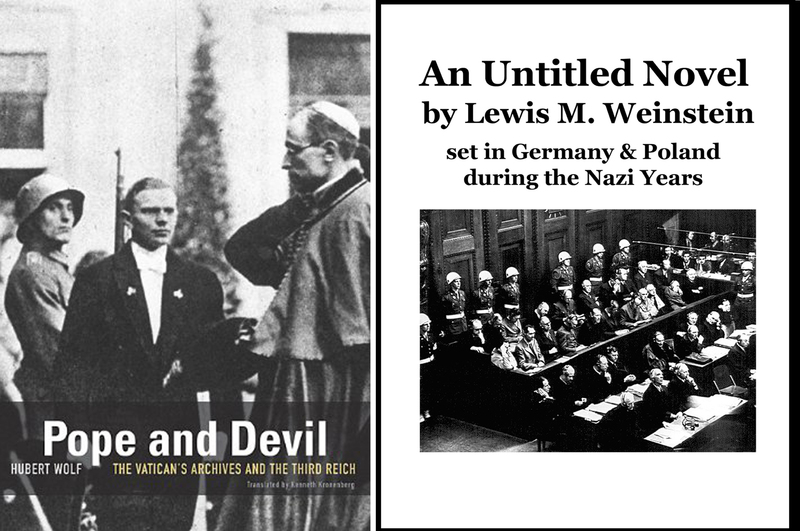 POPE AND DEVIL is, of course, research for the novel I am currently writing, set in Germany and Poland during the Nazi years. The role of the Catholic Church in facilitating the rise of Hitler is an important theme in my book. My comments are at the bottom of this post. Prof. Wolf has done a sterling job of assembling details of the Catholic Church’s attitudes and actions before and during the Nazi era. So far I have focused on the chapter regarding a group called Amici Israel (Friends of Israel), formed in 1926 and disbanded in a humiliating way by Pius XI in 1928. Amici Israel was initiated by Cardinal Faulhaber of Munich (and others) and grew in two years to include 1800 cardinals, bishops and priests. In 1928, they produced a document called Pax super Israel (Peace over Israel) which, among other things, recommended eliminating the pejorative word “perfidious” from the Good Friday liturgy. The Vatican’s most respected liturgical scholar reviewed the recommendations contained in Pax super Israel and gave all of them his approval. Then … a Cardinal named Merry del Val, the head of the Holy Office of Inquisition, reviewed the document at the request of Pius XI and rendered an excoriating judgment. *** The entire attitude of this little book is decidedly positive toward the Jews with rather adverse imputations about the Church and its servants. It is as if the bride of Christ stood accused of negligence, or even worse of unjustified aversion toward the people which is called the Chosen. The Holy Office of the Inquisition then rejected the reform of the Good Friday prayer and all the other Amici Israel recommendations with very little discussion, repeating Merry del Val’s demand that Amici Israel be disbanded. Pius XI very quietly issued a decree incorporating Merry del Val’s recommendations and dissolving Amici Israel. He later asked his close associate Enrico Rosa, publisher of the more or less official journal of the Catholic Church called Civilta Cattolica, to write a public defense of his actions. THESE WORDS OF CARDINAL MERRY DEL VAL AND ENRICO ROSA, ENDORSED BY POPE PIUS XI, ARE OF COURSE PRECISELY THE SAME JEW-HATING MESSAGE OF HITLER AND THE NAZIS, ADOPTED WITH ENTHUSIASM BY THE CATHOLIC CHURCH IN 1928. Amici Israel was a huge opportunity for the Catholic Church, upon the recommendation of high-ranking Cardinals and approval by its own foremost liturgical experts, to change the whole tone of antisemitism that had pervaded Catholic liturgy and sermons for centuries. This change, if adopted in 1928, would have sent a message to Germans and others that Hitler’s hysterical Jew-hatred was unacceptable to the Church, and perhaps there is every reason to speculate that Hitler would not have come to power in 1933. 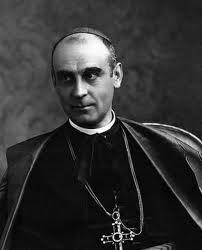 The bishops of Germany, led by Cardinal Faulhaber, were pleading for support in their efforts to hold back the Nazi surge. The Vatican in Rome sent exactly the opposite message: Hitler’s Jew-hatred was fine with them. In my view, Pius XI deserves to be condemned for this clear act of antisemitism and its awful consequences. AFTER NOTE … The elimination of the word “perfidious” and all of the other changes recommended by Amici Israel, which had been rejected in 1928, were adopted by the Catholic Church in 1965 in the conclave known as Vatican II. This entry was posted on September 10, 2014 at 4:35 am	and is filed under * A FLOOD OF EVIL ... Lew's novel-in-progress, ** RESEARCH for A FLOOD OF EVIL. You can follow any responses to this entry through the RSS 2.0 feed. You can skip to the end and leave a response. Pinging is currently not allowed. Recently read ” The Pope and Mussolini” which covers similar ground, but obviously from the Italian sector. Pius XI again an accommodating figure with Fascism. Pius XI had no problem with authoritarian regimes.